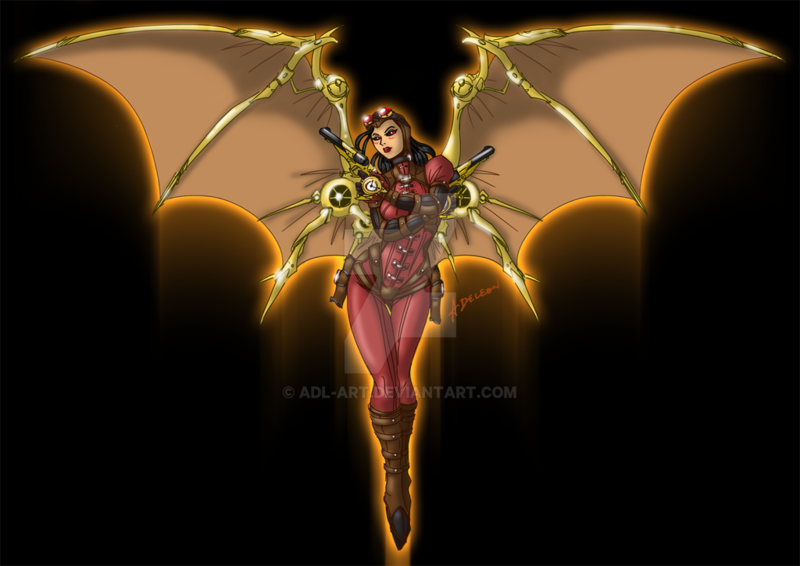 Lady Mechanika, a part human part machine detective created by Joe Benitez. Design's based from one of the variant covers, thanks for the view! The future of flight... All of a sudden, it feels like metallic wings are way more precise and faster than Jetpacks! Nice Artwork! You just earned a FAV! Thanks for faving! Not sure if it's a glider, jetpack, of both. The wings on the original cover looked like a combo of metal & reinforced canvas. While the story's set in a alternate 1878 world. Mr. Benitez certainly has intriguing character, tech, & weapon designs.